I am very excited to announce I have made a big move in my Salesforce Career. My last 8 years have been spent building an amazing Salesforce org for manufacturing company here in Oklahoma City. When an opportunity popped up to help build a new Salesforce Org with a whole new set of toys and applications, it was hard to pass up. I believe that a new perspective can grant us deeper insight and a clear path forward. Perhaps this move will give my friends at World Water Works and my successor a fresh approach to expanding their Salesforce org. In harmony with that sentiment, my new venture with TBS Factoring will be an incredibly refreshing opportunity to implement Salesforce from the ground floor. It was a bit weird to have my very first Salesforce user account deactivated. I have a weeklong gap between leaving WWW and officially joining the TBS team. This week, I will be conducting a deep dive GTD review. My goals and objectives are getting outlined. My priorities are being adjusted. I am working up a list of Good Habits to start and Bad Habits to break. My Cloud Force Collective tasks are getting some overdue attention. This whole experience is weird and exhilarating. I encourage everyone to try it sometime. Well… I mean, you all should conduct a deep dive GTD Review at some point. Don’t jump tracks in your career based on whims of an Ohana Blogger. It has always been helpful to add accountability to my objectives by publicly announcing them. Give me a moment to tell you what is on my horizon. Each of you are welcome to grill me about these projects at any time. Okc Salesforce User Group – My new co-leader is driven and enthusiastic (imagine an Ohana Leslie Knope) I have to up my game to keep in the same league. Certifications – New challenges ahead mean I may need to tackle something larger that the App Builder cert. Cloud Force Collective Podcast – I simply need to talk to more of you good people. Who wants to record tonight? CFC Network – I have taken on Producer responsibilities for some new Ohana Podcasters. Look for a formal announcement on this soon. The ADMIN GAME – I have made some great progress on this game and plan to write more about the adventure. Special thanks to a Jedi Master out there who helped me build a solid Flow in the system. Personal Health – My kids have learned that I don’t pick anything up lower than my knees. My wife won’t let me carry the dog food out of the store (cuz apparently, I am a broken old man.) I’m going to get more exercise. Each of you are to call me out on that. 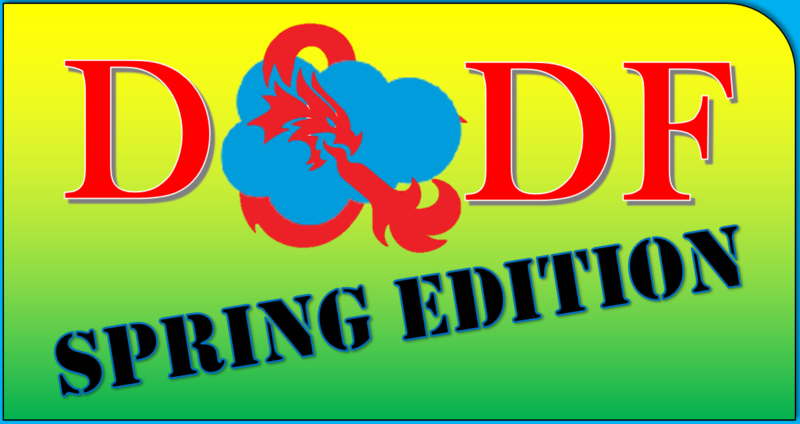 DnDFSpring18 – We are running another campaign this Spring. We are raising money for ExtraLife again. I will be Dungeon-Mastering this time which means a whole new team of Ohana Heroes will get a chance to save the day in real life AND in our land of Salesforcy make-pretend. Thanks for checking out my little blog. I look forward to learning new things and talking nerdy with you. To setting big goals and becoming the best version of you!